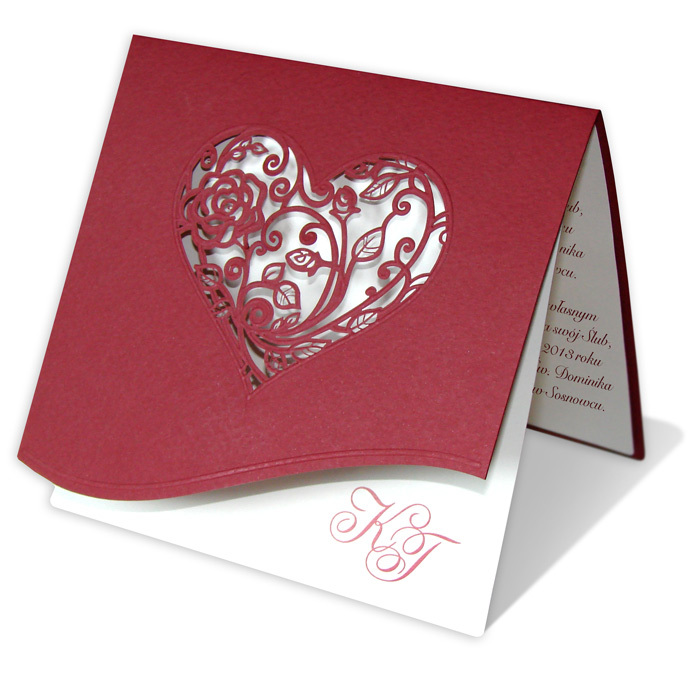 The invitation is made from high quality textured, bordeaux paper. 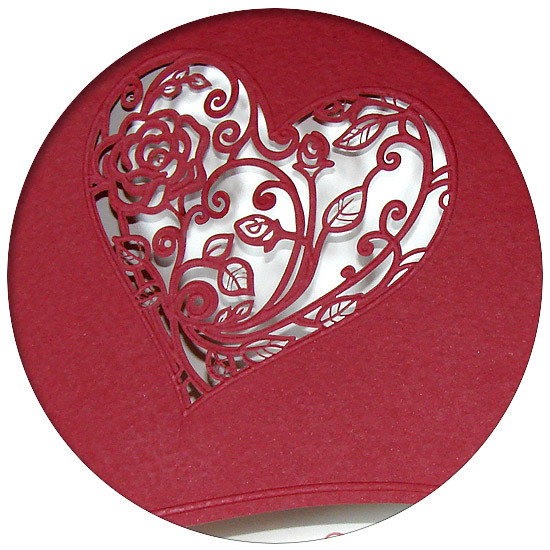 The cover is decorated with an original heart cut out of it. 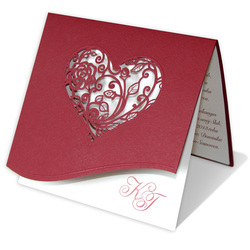 The bottom of the invitation is decorated with a wave and embossing. 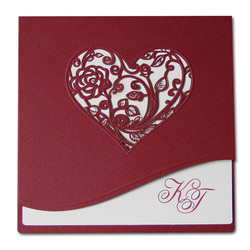 The insert for printing is ecru, matte.